Betfair is the world’s largest betting exchange and – as the company’s name suggests – it has built its reputation on putting the customer first. The Zero Lounge in its online casino was a revolutionary innovation that offered the customer the unthinkable option of gambling on level playing terms against the house. Now, its Live Casino has gone one innovative step further, immersing its users in an authentic real world casino experience. The Betfair Live Casino uses the tried and tested formula delivered to a number of other online gambling establishments from Playtech. Playtech is essentially in charge of two areas here; firstly, Betfair uses its efficient brick and mortar casino in Riga, Latvia. Furthermore, the ground-breaking gaming software company also takes cares of the game capture, live streaming and delivery platform for every single table available. The Playtech partnership ensures a highly impressive, intuitive user interface that even the least informed online gambler can pick up with ease. Gameplay is slick and easy to understand, while any problems you may have with the dealer can be solved either via a chat box or an audio feed that connects you straight to her. In order to access the tables, you must open a Betfair account and deposit some funds – i.e. there is no free play, which is normal. You can download the free casino software or play within browser links provided; both are straightforward and trouble-free. The Betfair Live Casino offers Live Roulette, Blackjack, Baccarat and Texas Hold‘em poker. The last of these is an unusual addition for a live casino, and sets Betfair slightly apart from its rivals. There are two versions of Blackjack available; the traditional 7-seater table and the ‘one to many’ format, which allows for an unlimited number of players to sit down at one table simultaneously. Blackjack pays the usual 3:2 (i.e. £15 on a £10 bet), the dealer will use eight decks as standard and will always stick on 17. Live Roulette is always popular; here you can play the European format of the game – the most popular set up. The Live Roulette room is characterised by high definition graphics and a full screen option, meaning it is about as realistic as you can hope to get on your computer screen. The same can be said for the baccarat room as for the live roulette tables; crystal clear picture and audio provide a highly impressive environment. Bet limits vary, so you can enter on a low limit table if you are feeling cautious or branch out a little and loosen the purse strings if you want to go high rolling. Dealers are friendly, efficient and highly knowledgeable, quickening gameplay and increasing user enjoyment. Your first trip to Betfair Live Casino will feature a 200% First Deposit Bonus matched up to £300. Returning players aren't forgot about; for any player coming back for more fun at Betfair Live Casino, a loyalty program is setup to offer points collected to win exclusive events and promotions. New Customers Only Deposits made with e-wallets not valid. UK&IRL only. 100% Bonus, min buy-in £20, max bonus £400. Full Terms & Conditions apply. 24/7 e-mail and phone support means that someone will always be on call to take care of any issue or query you may have. Welcoming staff will be waiting to greet you with whatever answers you might need. 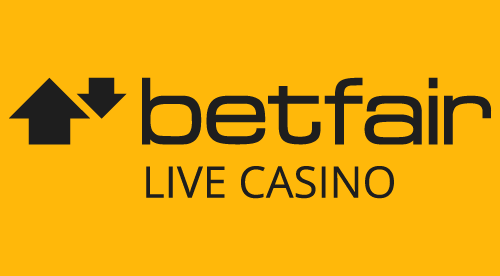 There are a large number of deposit and withdrawal options available from the Betfair live casino. The usual credit and debit card options, plus wire transfers, PayPal, cheques and other methods are all offered. Furthermore, a good variety of currencies are supported, as well as languages. Betfair earned the 'fair' in their name with the launch of the Zero Lounge, a feature that shocked the gambling world by evening the odds with the players by eliminating the house edge. Players should immediately notice Betfair Live Casino is a player-centric product.